It’s not often scientists suggest they’ve found an entirely new group of animals, something so different that they can’t be considered as belonging to one of the main groups, such as shellfish, insects, worms, jellyfish, sponges, animals with backbones (like us) and so on. So there was a fair bit of excitement when researchers in reported, in 2014, on strange mushroom-shaped organisms living on the deep seafloor, a kilometre under the water surface, off south-eastern Australia. These animals, called Dendrogramma, were certainly peculiar. There was a gelatinous stalk and cap shaped like a mushroom, an opening down the bottom of the stalk that looked like a mouth, and a canal that ran from there up into the cap, radiating into numerous branches. There were no appendages or special cells that would give away its relationship to other animals. If that wasn’t intriguing enough, the creatures bore some resemblance to 560 million-year-old fossils that have been found in Newfoundland, Russia and Namibia, as well as in the Flinders Ranges in South Australia. This is from a time when the first multi-celled organisms were forming, back before animals and plants took on the shapes and functions that we see today. How amazing if these strange simple creatures had survived off Australia for hundreds of millions of years! 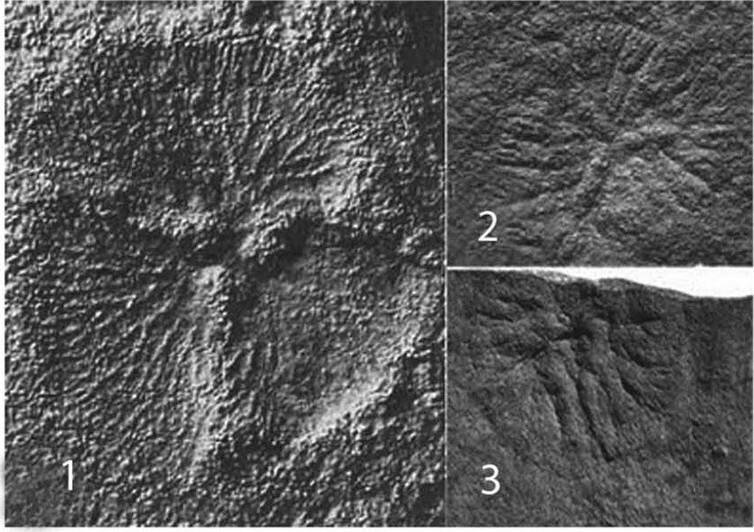 Dendrogramma-like fossils from 560 million years ago. But a crucial bit of evidence was missing from this story; there was no DNA data. Just like in police investigations and medicine, DNA has proved indispensable to the modern biologist. It can reveal relationships between organisms or plants that would not be guessed from their appearance. Organs such as eyes have evolved multiple times and do not necessarily indicate a shared ancestry. But the Dendrogramma specimens had been collected in 1986 and preserved in DNA-busting formalin. More examples had to be found first. Alien-like mushroom-shaped creatures have been discovered in the depths of the ocean off the Australian coast. Scientists said two species of the unusual life form were found that could not be placed in any existing group of organisms. The animals, named Dendrogramma, consist mainly of an outer skin and inner stomach, separated by a dense layer of jelly-like material. And so the matter rested until November last year when the sharp eyes of Hugh MacIntosh of Museum Victoria spotted the familiar mushroom shapes at the bottom of a seafloor sample hauled it up from 2,800 metres in the Great Australian Bight. Hugh was on Australia’s new research vessel RV Investigator, participating in a CSIRO-led scientific program to study the marine environment off South Australia. Science is often a waiting game. So we had to wait for the RV Investigator to finish her voyage, wait for the specimens to arrive, wait until the DNA extraction and sequencing proceeded through various laboratories, and then wait for publication. Not that we were idle during that time. Our evolution guru, Andrew Hugall, downloaded genomes from dozens of animals, setting up a system that could pigeonhole DNA-sequences originating from a single-celled protozoan to a whale. And still we waited; the Christmas break didn’t help. We even set up a betting sweep, each of us guessing where Dendrogramma would be placed in the tree of life (I didn’t win). Finally, at 4:30pm, one Tuesday afternoon in January, the DNA results came in. Andrew’s computer whirled and four hours later we had an answer. 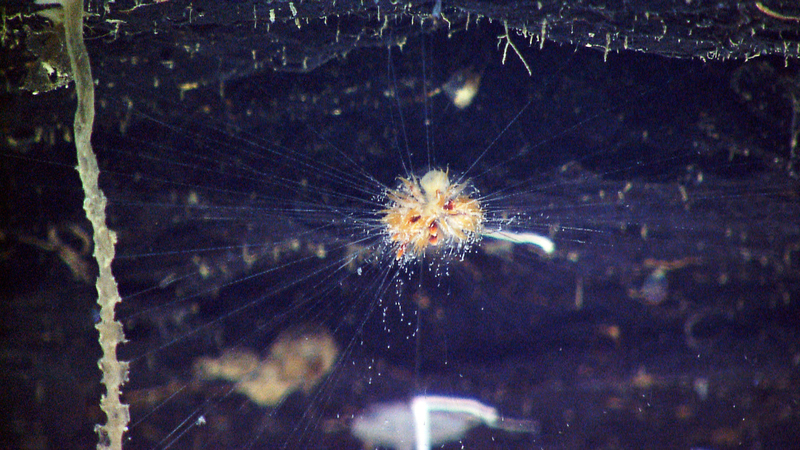 Dendrogramma was a type of siphonophore. Well, that was almost our reaction, because even to a bunch of marine biologists, siphonophores are uncommon and strange creatures. They are cnidarians related to jellyfish, corals and anemones. They have polyps like corals, but have long stinging tentacles like jellyfish and can move around. Some polyps function as propulsion units, some are specialised to feed, and yet others are gonads. They also can have flattened defensive appendages called bracts. These can also be mushroom-shaped! 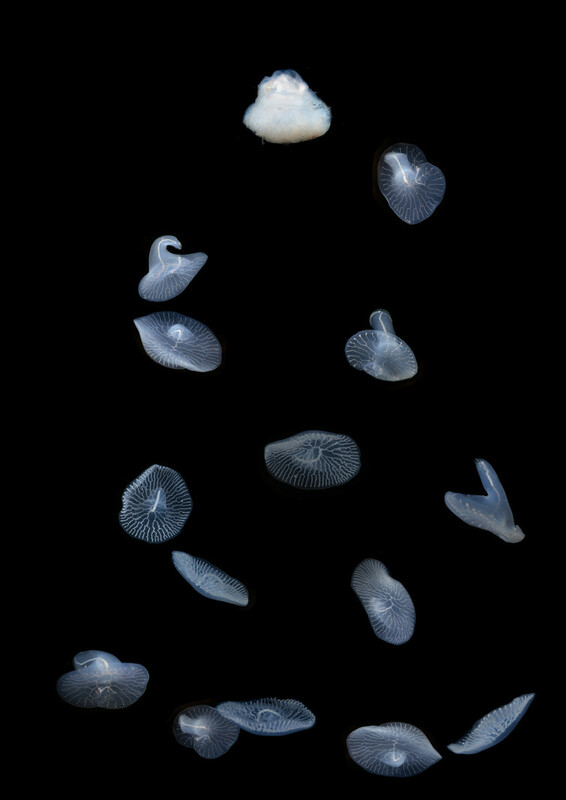 The evidence shows that the Dendrogramma specimens are not entire animals, but just siphonophore bracts, pieces detached from a larger creature. to a ledge on the sides of a deep-sea canyon in the Gulf of Mexico. Some commentators have criticised the original authors for publishing without DNA data. I don’t fully agree with this view. You need people to raise ideas and hypotheses that can be tested against subsequent data. We wouldn’t have even looked for Dendrogramma if we had not been alerted. Okay, we were disappointed that Dendrogramma was not a completely new type of animal. But the hunt is important. Hundreds of millions of years of independent evolution could have resulted in the development of all sorts of biochemical novelties, from antibiotics to cancer drugs. So we have solved one part of the mystery but others remain. We know what Dendrogramma bracts look like but not the whole animal. Siphonophores come in a variety of shapes and sizes. The deep sea is a big place. It took decades for us to get video footage of the giant squid; it may take decades again for us to see footage of Dendrogramma in all its living glory.